Do you want to know how to start your own law firm? There are many rewards to running your own law practice, but it isn’t for the weak of heart. 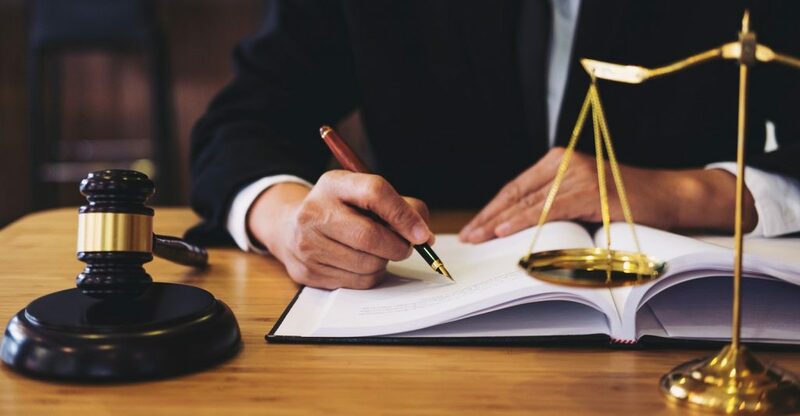 Starting your own law firm is a serious undertaking that should be approached with the right kind of mindset and an understanding of effective practical strategies. It’s going to take a lot of time and energy investment to get it off the ground and into a thriving state, so I’ve put together some helpful tips to help get you there as quick as possible. The more prepared you are, the less stress you are likely to endure, and if I can help you do that, then I’ve done my job! There are many challenges when starting your own law firm, and there are risks involved, both financially and for your health. The goal is to get your practice up and running while minimizing set-backs and reducing angst by streamlining action, and taking the appropriate preparatory measures. Some of the mandatory steps that you must undertake are actually covered in my last post on marketing your practice. For example, you must have a website and online presence, and you must network and get involved in your community. However, this article is going to focus on what you need to do when starting from scratch. There is an old Special Forces acronym that I’d like to apply to the question of “how to start your own law firm?” They use it when they are about to make an undertaking of some sort, and it is actually quite simple. STOP. So, that stands for Stop, Think, Organize, and Plan. I highly recommend you sit with yourself and ask the tough questions. Am I prepared to make this undertaking? Am I being honest and realistic with myself regarding the costs involved and the amount of work that will be demanded of me? Have I thought through and visualized the challenges I am likely to face? Am I prepared to be uncomfortable for awhile? If you get through this gauntlet unfazed and bolstered, and are determined to move forward with your dream, the last check is your self-belief and confidence. This will be necessary to withstand the naysayers and doubters that you are likely to encounter externally and within your own head. If and when you do experience someone telling you your odds of success are low, find out if they themselves have tried to do what you are going to undertake. If not, then don’t waste your breath or your mental energy. If they have actually tried but failed, figure out what it was that caused this and learn from their mistakes. Your own self-belief and commitment to your dream will see you through the difficult times when you may consider throwing in the towel. If you don’t truly want it, it is not likely to manifest. When considering how to start your own law firm, you need to think about the fact that it will require you to be more than just a lawyer. You’re going to have to be a businessman, a marketer, a negotiator, and you’re going to have to manage your own bookkeeping. If you have any staff, you’re also going to have to have a handle on management duties. These roles can all be juggled with success, but the more realistic you are about what kind of skills you’re going to have to acquire, the fewer surprises you’re going to have, and thus less stress. It would be wise to think about and identify your strongest and weakest points. You’re only going to be as strong as your weakest link and identifying where you will need to sharpen and improve, or possibly outsource assistance, will go along way in efficient time-management. Remember this when considering how to start your own law firm. When I say everything, I do mean everything. You need to have great organization skills to ensure the greatest possible chance of success. Time can be eaten up in little bites all through the day, so don’t die the death of a thousand cuts. Have your household in order, have your personal finances organized, and have your efficiency habits dialed in. If this is one of your challenges, I highly recommend you check out David Allen’s Getting Things Done material. Ok, this is where we get serious and start looking at some very specific details. You’re going to have to put together a proper business plan, and ideally something that you can take to other professionals to get their feedback. Try to find a mentor that is willing to go over your plan and give you their professional opinion. If you keep an open mind and are humble, this can help you avoid pitfalls and mistakes that you may not be aware of, but their experience allows them to see. You’re going to want to have a plan for the development of your firm in segments, and how you want to break that down is up to you. Again, this involves asking yourself the questions that you will help you iron out the vision you have for your practice. You want to lay out your development goals for the first six months, one year, three years, or even up to five years. Detailing like this allows you to see what it is you will have to do to achieve these goals and allows you to track and measure your success. Planning out the area of law you will practice is integral, and it is considered wise to undertake a market analysis of your prospective field. Who is your ideal client? What are their demographics? How can you best serve them? Who are your competitors? Planning this out also will help you when it comes to marketing your business down the road. You will also want to take the time to plan out how your firm is going to be organized in regards to its structure. Will you have staff? Will you have partners? Will you have an office space or work from home? Will you attempt to go paperless? What are your tech needs? You owe it to yourself and your future stress-free self to think through every prospective feature of your practice and come up with solutions to all perceived challenges. Putting the hard work now will pay off in the future. Think of it as a cultivation process. This is a key component of the course and the better you plan here, the lower the amount of stress you are likely going to experience. You can’t do this without a nest-egg, so put your stake together and plan out your finances down to the barest essential. You need to know exactly how long you can keep your business going if you have no incoming revenue. You also need to know exactly what your monthly expenses are so that you know how many billable hours you need to be making. For more assistance on putting a Business plan together, The American Bar Association has put out this helpful resource. You’re going to have to check with your local bar association to ensure that you have all the proper licensing. It would also be prudent to consider your insurance needs right from the beginning as well as malpractice insurance. This is all a matter of due diligence and only demands that you do your homework so there are no surprises down the road. I’m sure you are well aware, if you weren’t already, of the challenges and demands of starting your own law practice. The key word here is aware. If you are aware, you can be prepared, and if you are prepared, you are more likely to thrive and do so with less stress and more overall enjoyment. Because let’s face it, we are considering this undertaking because we want our success to rise or fall based on our own efforts and our own passion. I hope you have found something that can help you on your journey, and please don’t hesitate to contact me if you have any specific questions. For more reading on this subject, please check out the following resource.